In order to meet various demands of our esteemed clients, we are engaged in manufacturing and supplying an optimum quality array of Pipeline Seal. - To guarantee the safe flow of fluids passing through pipeline transmission and distribution systems. 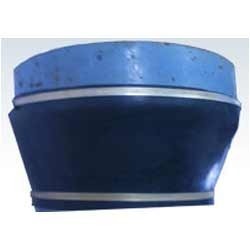 The use of Casing End Seals is generally required for the installation of gas, oil or water pipelines for sealing the annular space between sleeve carrier and casing. They are not suitable, however, in cases where water exerts pressure.